University of Kansas Chancellor Douglas Girod is pictured, Nov. 15, 2017. The majority of reaction to the unusual — and controversial — appointment of a dean at the University of Kansas “has been positive,” KU Chancellor Douglas Girod said Wednesday, but he declined to say whether the appointment would be made. Girod briefly commented on the matter Wednesday to the Journal-World during a break in the January Board of Regents meeting in Topeka. Last month, KU’s interim provost, Carl Lejuez, proposed making the interim dean of the College of Liberal Arts and Sciences, Clarence Lang, the permanent dean for three years without going through the usual search process for hiring deans. CLAS is the university’s largest school, and the proposal garnered some vocal criticism from various faculty groups, who staunchly opposed bypassing the hiring protocol. Lejuez said the reason for such an appointment was because Lang had been offered a job at another institution and that it was crucial to keep him on board as KU grappled with $20 million in budget cuts. Lejuez never said what institution was courting Lang nor why a three-year appointment was necessary. Lejuez announced the proposal over winter break, when campus was largely empty, and solicited input from the university community. Girod said he would hate to lose Lang. Girod said he expected the announcement about Lang to come before KU’s spring semester begins on Tuesday. 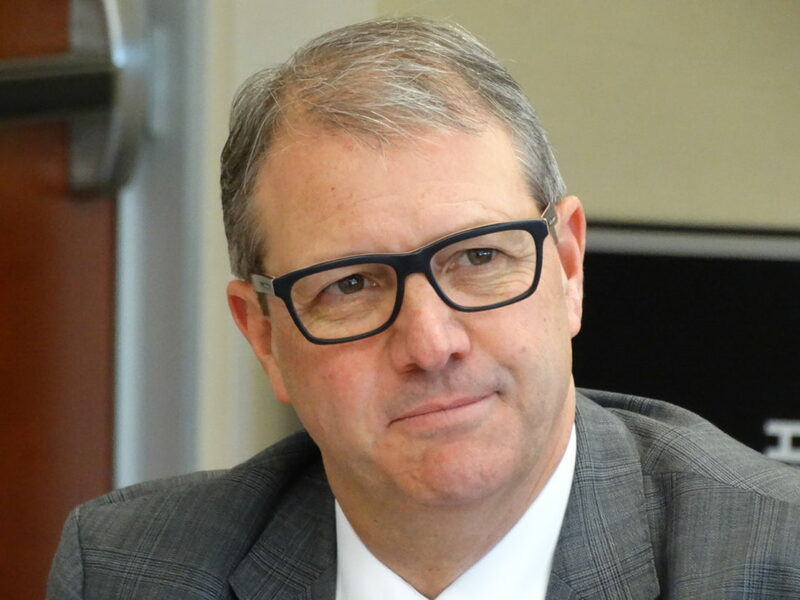 At Wednesday’s Regents meeting, Girod was called into executive session for 30 minutes, but it was not clear what was discussed.